Another great item from our livestock cattle brands collection. 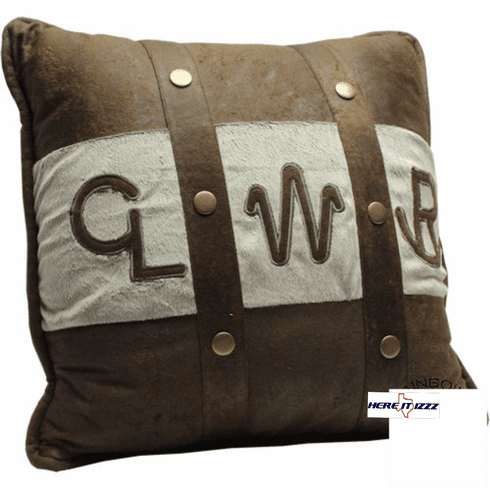 Overstuffed Western branding pillow is perfect for the living room in Your Country Cabin. Design for a Western Lodge or horse ranch this great-looking pillow is branded for your own personal style.